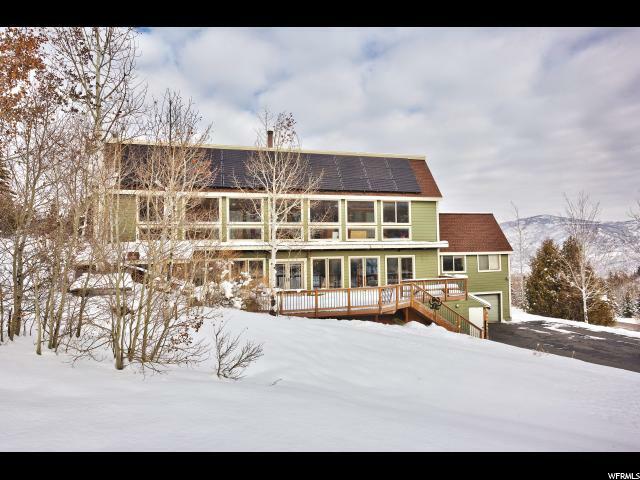 One of the first homes built in Pinebrook, this solar powered home was smart before energy efficiency was a priority in home building. Situated perfectly South, with a roof pitch designed for passive and active solar efficiency. A two-story sun room makes for a unique and welcoming entrance to a warm and comfortable home. The main level offers a family room, semi-formal dining room and and updated granite kitchen. There is also a large bonus/family room space. Upstairs, four bedrooms with private ensuite baths makes for easy everyday living. The garage offers plenty of extra length for workshop space or storage for outdoor toys. Situated on almost an acre with beautiful mature and natural landscaping. 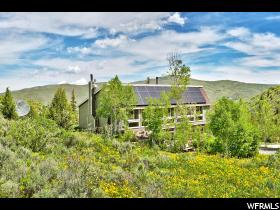 I would like more information regarding the property at 7533 PINEBROOK RD, Park City UT 84098 - (MLS #1521764).